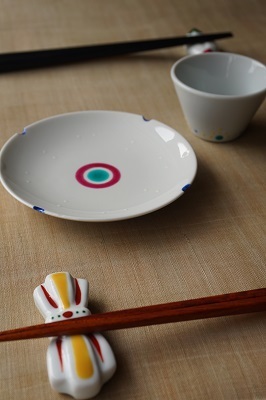 Today, we'll introduce you a small plate and a sake cup made by Shogaku TSUJI. 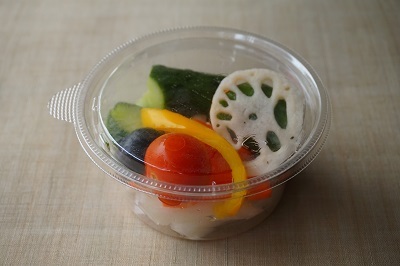 This is a cup of pickles sold at a convenienc store. however, it will be better to serve on fine ceramics ! 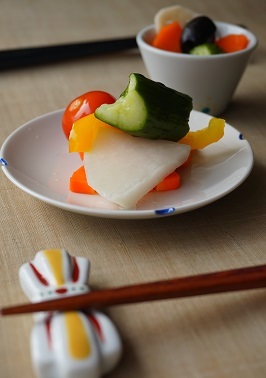 The pickles looks very delicious on these items, a small plate and a sake cup.